After reading Camelot I'm not sure which scene could have been mistranslated. I do remember hearing what Raff said a while back but unless the source is outside of Camelot I'm guessing it's either misinformation or a misinterpretation. It's implied in Camelot. One of the reasons he hates Lancelot is that Lance and Gwen's affair brought to him the knowledge of Artoria's situation and that before all of that he had been so happy to think that she was male. The impression I got was that the Alien God was the one who set up the thunderdome, and the Crypters just agreed to participate. I don't think its been outright stated, but in Kadoc's flashback ??? gave out territories and Heroic Spirits after the team agreed to be resurrected, which implies that they were intended to work separately from the beginning. 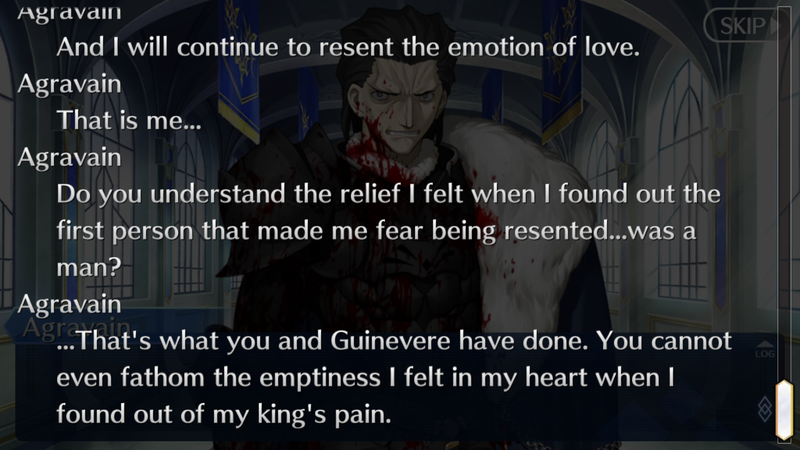 I guess you could interpret the "pain" as Artoria's necessity to disguise herself as a man and his emptiness as him discovering his King is a woman, but that's quite a stretch and really disconnected from the rest of his monologue. 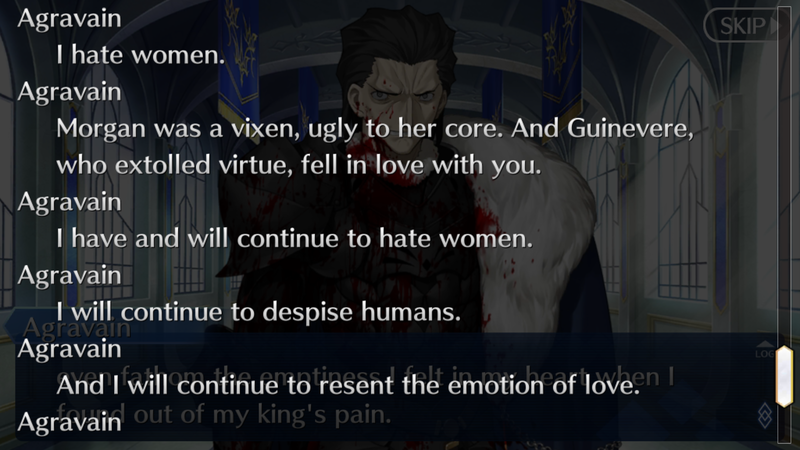 Seems to me like he's just referring to his despair at discovering his King had been betrayed by her wife and her best knight, specially since he gives no indication that he knows Artoria isn't actually a man after stating she is. It's hard to believe that he knew, unless it's stated in some other place. Also Agravain would haaaaaaaaaaaaaaaaaaaaaaaaaaaaate Shirou. Yes, I am referring to that scene, and yes, that is the intention. King's pain = aaaaaaa she has to suffer being female! Also its outright stated in Garden of Avalon that he found out. It's possible, I just don't see it in that context. Round Table meeting Shirou when? 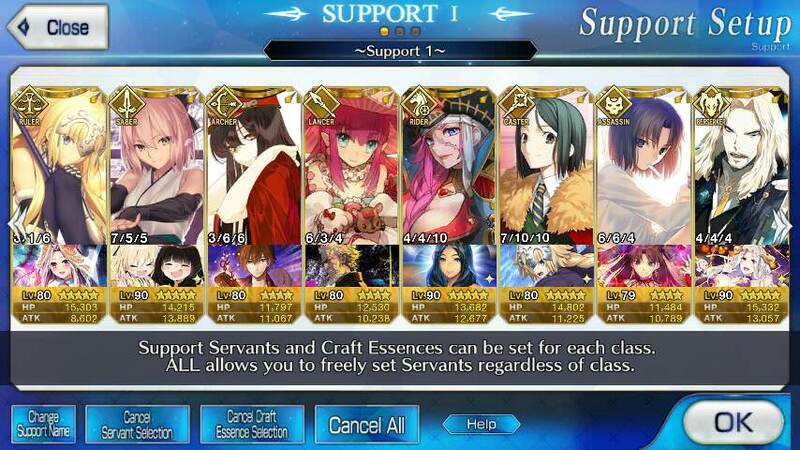 Get on it Nasu. Most of the round table would hate Shirou (for various reasons). But which of them would like Shirou? Well that changes things, okay then. What I heard was that is what Guinevere told Lancelot or something like that?